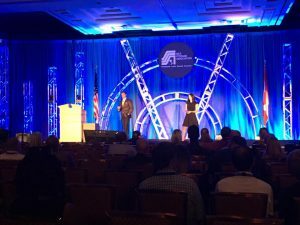 John Lindsey and Natalie Bragg (of Storelocal) presented to both the Large Owners Council and the Self Storage Association this past week in Las Vegas at the SSA 2016 Fall Conference and Trade Show. Do these three words sum up your thoughts on millennials? You’ve heard the horror stories about this generation of overgrown boys and girls who can’t put their smartphones down and expect participation trophies for everything. While it’s easy to form an opinion based on a bad experience with a lazy employee or a frustrating tenant, doing so could actually cost you. Instead of focusing on their personality traits, you should be focusing on how much money millennials can make for your self-storage business. These twenty and thirty-somethings account for not only a third of the workforce but also for what could be a huge percentage of your consumer base. As millennials in the self-storage industry, we know a thing or two about these unique customers and what it takes to draw them in, earn their business and and by doing so, grow yours. Interested in having us speak to your Association or Company? PreviousPrevious post:Lindsey Self Storage Management Adds New LocationNextNext post:Action’s Self Storage – SOLD!